The cities of Amsterdam and Den Haag are two of the largest in the Kingdom of the Netherlands, but many people get these two mixed up when it comes to politics of this northern country. Amsterdam is the official capital city of the Netherlands, but Den Haag (The Hague) is the official seat of the Dutch government and home to the Netherlands' monarch, parliament, and supreme court. Den Haag is also where foreign national embassies are located, while Amsterdam is typically home to those countries' corresponding, smaller consular offices. The Hague is approximately 42 miles (66 kilometers) or one hour away from Amsterdam and only 17 miles (27.1 kilometers) or 30 minutes from Rotterdam. These three cities are among the most populous and biggest in the Netherlands, providing tourists and visitors unique and diverse opportunities to experience life in this western European country. Amsterdam is not only the capital of the Netherlands, it's also the Netherland's financial and business capital as well as the most-populated city in the country with over 850,000 residents in the city limits and over 2 million in the metropolitan area as of 2018. However, Amsterdam is not the capital of the province of Noord-Holland (North Holland) in which its located, the much smaller city of Haarlem is, which makes for a great day trip from the city. Boasting its own stock exchange (Amsterdam Stock Exchange, AEX) and serving as the headquarters for several multinational companies, Amsterdam has become a thriving Eastern European city throughout its vast history. Many would also say that Amsterdam is the cultural, design, and shopping hub of the Netherlands because of the dozens of world-class museums, art studios and galleries, fashion houses, shops, and boutiques that call the city home. If you're planning to visit the Netherlands, Amsterdam is a great place to start as you can then head south to The Hague before continuing on to Rotterdam and the rest of the eastern Netherlands. 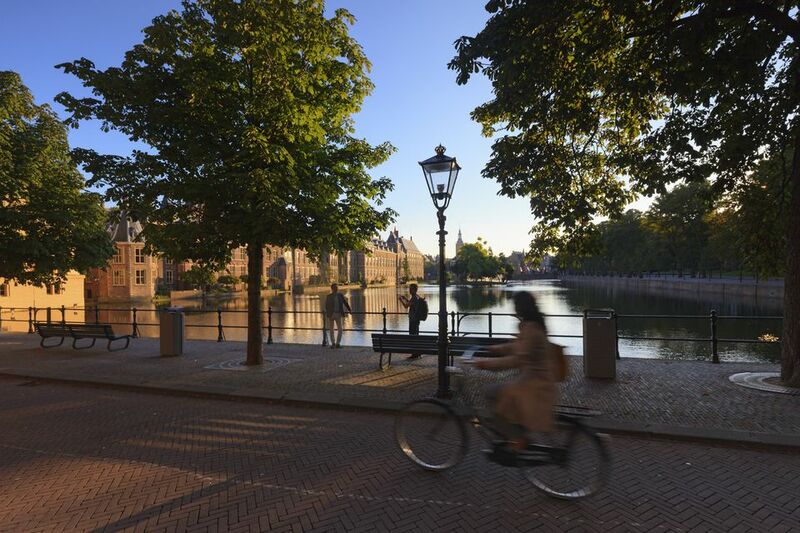 Located in Zuid-Holland (South Holland) just about an hour south of Amsterdam, many important governmental decisions have been made in The Hague (Den Haag) throughout its 900-year history. Both Dutch politics and international law take place in The Hague, which serves as the official seat of government for the country as well as the capital of South Holland. Along with important government offices and international embassies, you'll find some of the region's best attractions and most diverse collection of restaurants in The Hauge. It's also home to some of the country's most highly-respected museums like the Mauritshuis for famous Dutch art and the Gemeentemuseum for 20th-century artworks. As of 2018, The Hague is also the third-most populous city in the Netherlands (after Amsterdam and Rotterdam), with just over a million residents in the Haaglanden conurbation, which is the name given to a region of cities, large towns, and urban areas that have merged together through years of growth and expansion. Between Rotterdam and The Hague, the region's sprawling population total nearly two and a half million residents.